In 2004, after having been a counsellor for 2 decades I discovered Emotionally Focused Therapy (EFT). Around the same time that I learned about EFT, my husband and I were struggling in our own relationship. After many years of marriage we found ourselves in a pattern of what Dr. Sue Johnson calls “pursue” “withdraw”. Like many couples in conflict, each of us had developed a way of responding to each other that was pulling us apart rather than bringing us closer together. I felt like we were miles apart and my partner was confused and didn’t understand what was happening. Since we were committed to each other, my husband and I decided that we’d use EFT to help us. First, we read the book, Hold Me Tight, by Sue Johnston, one of the founders of Emotionally Focused Couples Therapy (EFT). Later, we attended a Hold Me Tight couple’s retreat. Through our work and by understanding EFT, my partner and I discovered that when we were in conflict it wasn’t so much about the issue at hand. Rather, we came to understand that the deeper issues at the root of our struggles were unmet needs that we had not been able to express to each other. My need was to feel cared for and my husband’s need was to feel appreciated. This new-found knowledge helped us to know and understand each other at a much deeper level. We were finally able to listen to each other with our hearts. Through following the steps of EFT, we learned how to develop more loving ways of resolving conflict and nurture a growing connection. My husband and I are incredibly grateful for EFT. I am also grateful for the tools EFT has given me to better help my clients when they are stuck in their relationships. Previous to my study of EFT, I thought the cause of couples’ distress was that couples saw one another as the enemy. As my husband and I discovered, the key to solving couples’ struggles is that each partner must understand their own role in marital conflict. This entails recognizing and understanding what their needs are, then being able to share these needs with their partner, and finally, asking directly for their needs to be met. When this happens, couples stay connected to each other regardless of what their struggle is about. Build strong relationships with my clients – this has been shown to be the most important factor in therapy outcomes. Put people at ease with my easy-going style and sense of humour. Ability to be completely present with my clients and listen to their deepest needs and desires. 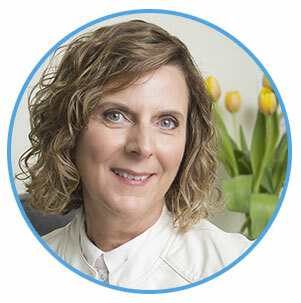 I’m compassionate and transparent – I resonate with my clients’ pain and revel in their successes. Instill hope and optimism in my clients, even when they have little. Insightful, and know my biases and limitations. Instrumental in introducing EFT to many therapists in Calgary and the surrounding areas through sponsoring and organizing EFT workshops. Attend over 30 hours of therapist training and supervision annually. Married for 33 years to Pat and the mother to Lisa 29 and Mark 27. Enjoy trying new recipes, and entertaining friends. Read professional and personal growth books during the year. During our annual vacation trip to Mexico I indulge in reading an endless number of “fluffy novels”. My long–term goal is to take up exercising …..at least one day!!! If you want to deepen the intimacy in your relationship, contact me in my Calgary office. I’ll answer any questions you have in a free, 20-minute Phone or Skype session.